Award Winning Filmmaker, Darren W. Conrad, is casting for this next Short Film, “The Valley Road”. UPDATE: DEADLINE FOR SUBMISSION IS DEC 16th, 2018! Okay, things are moving on “The Valley Road”!!!! The IMDb Pro Submissions are unreal in numbers!!!!! I realize many good actresses out there simply are not on the PAID, IMDb Pro yet! As I am already getting my Director and some crew in place; I have a whole new strategy for how “Pre-Production” will go for 2019. As of now, I want to have video auditions begin on January 1st, 2019!!!!! Since many are applying from out of state, I do not feel a need for CALLBACKS!!!! I am all about not wasting people’s time on their own dime for Short Film Audition Project. I want to have the 2, Female Leads CAST by FEB 10, 2019!!!!! Director, Jerry Keys, and I want to start our promotional fundraising campaign by MARCH 2019! I am big when it comes to promotion and want to have everything in place. 1. Janelle Poag – Lead – Female – Caucasian – 35-45 (Slim to Average Build) – Janelle Poag is a woman with a big heart; calm, soft spoken voice; and over the years has developed a lot of Christian Faith. Even though she may smile, there is still a bit of hidden sadness in her life. There are things which are maybe locked away. She is a widow. She and her 19 year old daughter, Sarah Poag, live in an old farm house in Rural, North Carolina. Janelle’s whole life is Sarah. Janelle is still attractive for her age. Her beauty does not come from heavy makeup or trying to look glamorous. *A very experienced and strong actress will be considered for audition. Resume and Reel is a must. 2. Sarah Poag – Lead – Female – Caucasian – 19-25 (Slim to Average Build) – Sarah Poag is the 19 year old daughter of Janelle Poag. Sarah is a southern girl with both charm, wit, and discernment. She has no problem looking one straight in the eye. Like her mother, she has a wonderful smile and kind heart. She adores her mother and is always encouraging her move forward with her life since being widowed. Sarah is very cute. Like her mother, she does not need much makeup to look beautiful. She is very mature for 19. *This role requires a very experienced and strong actress. Resume and Reel is a must. Deadline for SUBMISSIONS are Dec 31, 2018. Both Roles will pay a rate of $200.00 a day (Non-Deferred) You must claim local to Charlotte, N.C. *Hotel provided if needed. If no casting sites: Hardcopy Resume, Current Theatrical Headshot, YouTube or Vimeo Link ONLY to REELS, DO NOT SEND ME A FILE!!!! UPDATE DEADLINE FOR SUBMISSION IS DEC 16th, 2018! 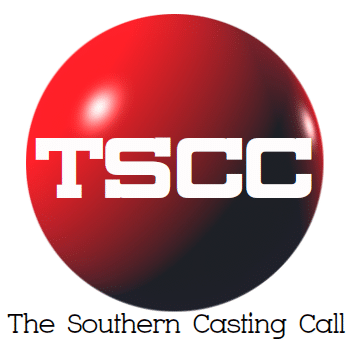 Previous articleMarinella Hume Casting Atlanta Please check your calendar before submitting. Georgia locals only! Dependable… 2 DAY MALE and FEMALE to portray Security!